Welcome to the first time we have trialled the delivery of Policy Watch via blog! The pattern for compiling this weekly service isn't changing radically. We're still going to provide what amounts to a selection of 'Recommended Reading', with the advantage of a more easily referred to set of links and the ability for us to archive these week after week without the hassles that come with handling email. We are planning to hook this on to our main website, though meanwhile encourage you to bookmark this address as we develop this approach further. PLUS if you have items such as new information sources and resources that you want to pass on to make this more of a 'shared update' please let us know and we'll add them under an appropriate heading. A Portrait of Health is the title of the executive summary of the Ministry of Health NZ Health Survey. The key finding of interest to us is the continuing disparities in health status for poor people (children and adults) compared with their richer counterparts. There is some reduction in disparities but a long way to go. The latest e-dition of Rethinking Crime and Punishment (RECAP) discusses the effectiveness (or not) of British Antisocial Behaviour Orders or ASBOs as they are known. The title is very catchy – Tough on Children and Tough on the Causes of Children. This type of approach would be very appealing to certain parts of NZ and the political spectrum. Interestingly, in this issue of RECAP they look at the level of support governments provide to families and provide a table demonstrating NZ poor status in international comparisons. Bottom line is we spend far less than our rich nation counterparts. The data is from 2003 so we are likely to have improved slightly given the investment from WFF and 20 free hours ECE policies implemented since. I just missed including this in last week’s Policy Watch. It coincides with the preparation for the Social Justice Week being organised by Caritas Aotearoa New Zealand and starting 14 September. 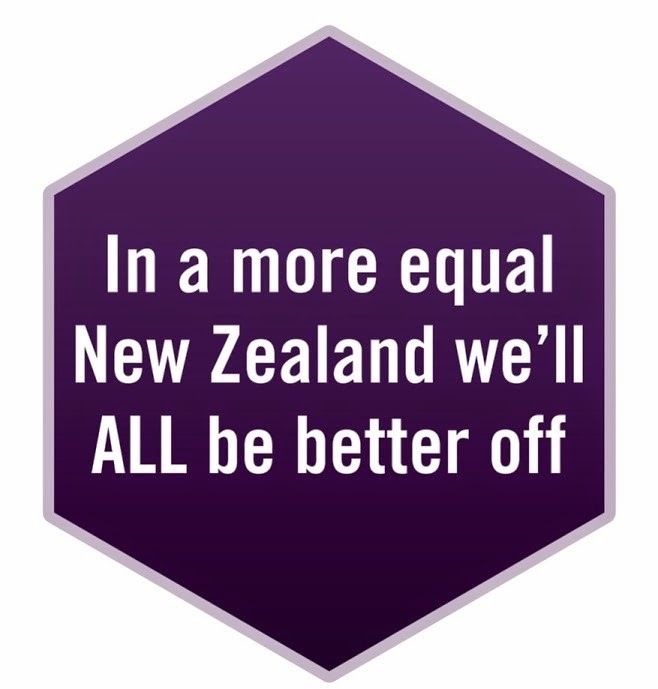 The statement acknowledges the progress that has been made to address social inequalities over the last 10 years and identifies the dire situation of the poorest sections of our community: “Despite a decade’s social investment, the government’s statistics indicate that living standards have not improved for the poorest New Zealanders. In particular, we have concerns that people on benefits and low wages have not benefited as much as many higher earning families” The messages within this statement closely align with the third tranche of Aroha tetahi ki tetahi - Let us look after each other. What’s going on in the aged residential care sector? Are we looking after each other? The Nelson Mail recently published this very well written discussion of the situation in the aged residential care sector that is worth a read. NZCCSS has briefed Ministers in Cabinet about the situation from our perspective, and we continue to seek to advocate for a collaborative approach to services for older people across the whole continuum of care. NZCCSS position is that the dignity and fulfilled living for older people (social justice in action) must be the central focus of our approach to the many challenges in the sector. The situation in the aged residential care sector needs to be understood in the context of the whole range of issues across the full continuum of care and support: from advocacy and informal carer support for older people living in their own homes, home support services, residential aged care and the retirement villages sector. The NZCCSS website points to these wider issues as part of our Valuing the Lives of Older People call – please use this as a resource to inform analysis of the claims and counter-claims in this current controversy. Community Housing Snapshot: Has a link to presentations made about housing affordability at the recent Local Government NZ Conference. When is your next poster going to be available, and what will it be about? The next poster will be available later this month (August) and is about taking more action to address the persistent levels of poverty in Aotearoa New Zealand. This makes life much easier.